Leading creation apologist and bestselling Christian author Ken Ham is joined at the Creation Museum by popular TV personality and Evolution apologist Bill Nye. Ham, a former science instructor who emigrated to the USA from Australia over 25 years ago, is joined by the popular children’s program personality Bill Nye “the science guy” for this first and only – scheduled debate. Each man delivers what he believes is the best information available, then has an opportunity for rebuttal, and then answers questions submitted by the audience. 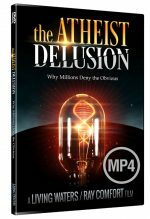 Presented in a packed 900-seat auditorium, this event sold out in the first 2-minutes of online ticketing, and includes an audience of Christians and non-Christians, creationists and atheists. This high definition video download documents the actual, uncut statements arguments, and audience reactions to these two leading spokesmen. You will understand the worldviews of each proponent, and those whom they represent, better than ever before. 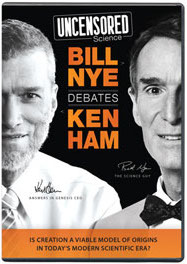 Be the first to review “Bill Nye debates Ken Ham HD MP4 (Download)” Click here to cancel reply.